What a show! I walked over seventeen miles in three days to see and learn about the hottest new products in the pet industry! I saw thousands of exciting and innovative treats, toys, furniture, food, and training aids for dogs, cats, reptiles, fish, chickens…you name it. It’s been a difficult choice, but I narrowed down all the products I saw into my top ten list of favorite products from the Global Pet Expo 2018. I really loved them all, so they are listed below in no particular order. Enjoy what I thought was the best of the best. 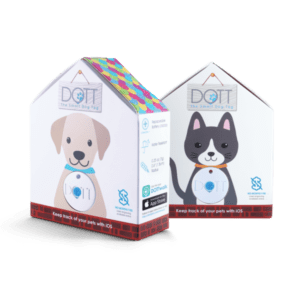 The DOTT Smart Dog Tag is the all-in-one solution for pet protection. It maximizes the chances of finding your pet if it gets lost. Unlike a microchip, no in-contact scanning is needed. 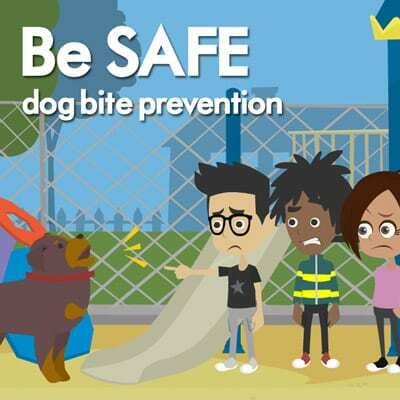 You report your pet is lost and an in-app auto-tracking system is enabled. The DOTT will continuously emit a signal with coverage up to 85 standard basketball courts. Each user covers an area of 384,844 square feet and signals can be picked up even if the phone or iPad is inside a moving vehicle. Similar to Waze, the DOTTwalk app has community support which puts out an alert to friends, family, and neighbors to expand the search network. Voted Best Invention by MSN and Money and Best 5 Pet Gadgets You Should Buy by Techno Nerd. Watch our interview with Danielle from DOTT. 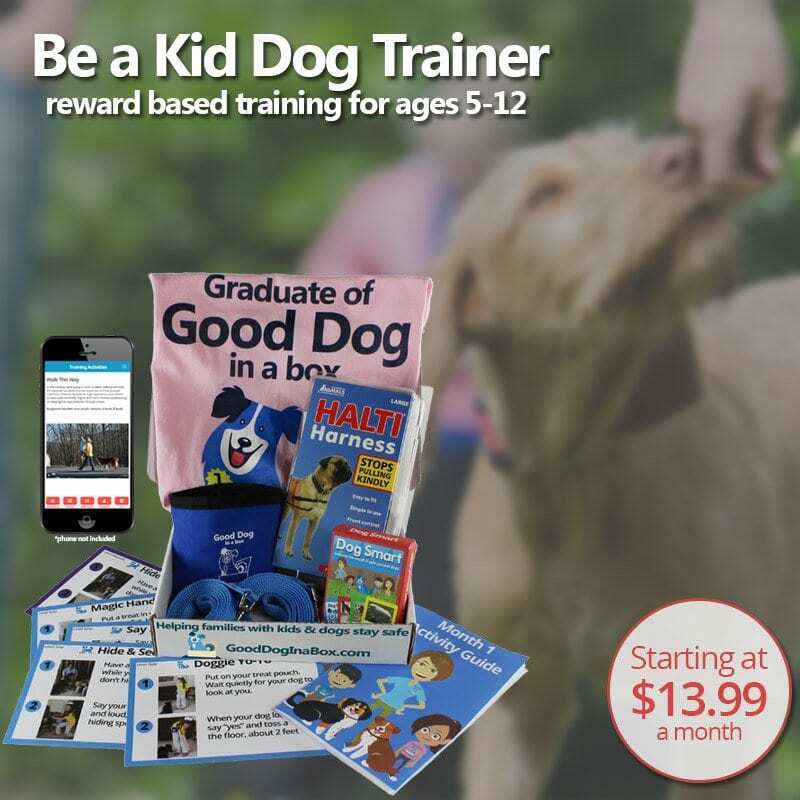 Himalayan Pet Supply has done it again with this fun and creative dog training reward. 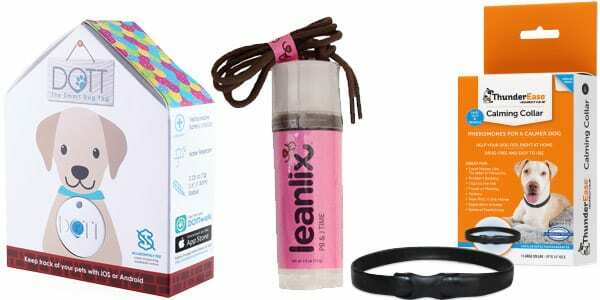 Leanlix is an innovative new low-calorie treat and training tool for dogs. A fun, healthy reward treat that can be licked while training. Uncap, twist like a tube of Chapstick, and let your dog lick the Leanlix treat. While most dog treats have about 30 calories per serving, gluten-free and grain-free Leanlix has less than one calorie. A clean convenient tool for kid and adult trainers and dog lovers. Just hang around your neck when you’re ready to go out with your dog. No messy pockets or hands. It’s a fun part of an on-going pet lifestyle program promoting diet along with exercise. Try flavors such as PB & J Time, Run-A-Way Frank, Bark-B-Q, Sweet Potato, Free-Range Chicken, and Himalayan Cheese. Watch our interview with Christine from Himalayan Pet Supply. 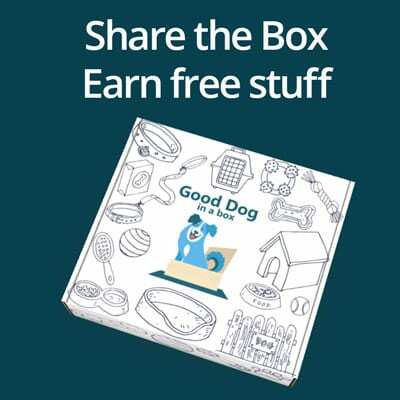 Dog is Good is a dog lifestyle company that markets gifts, home products, and apparel for dog lovers. 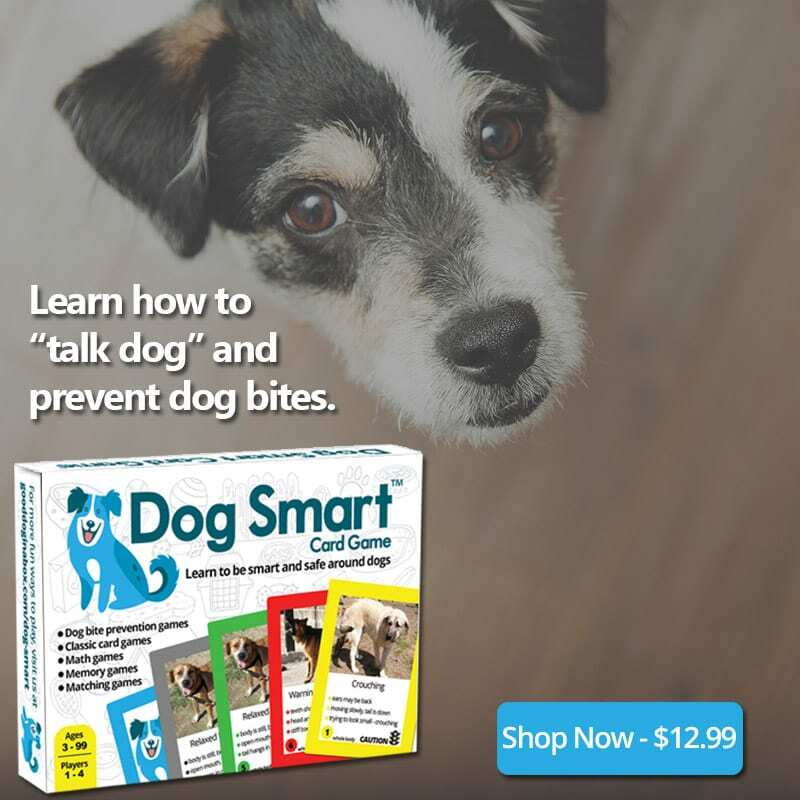 They sell quality products that not only promote life with a dog, but give customers a way to express their true connection to their four-legged kids. 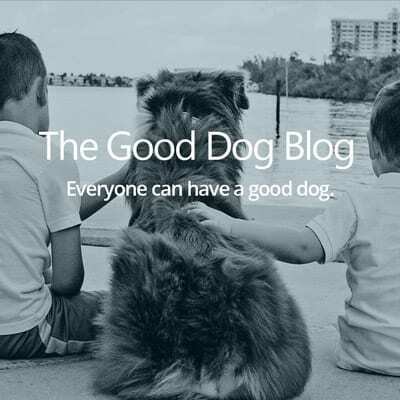 But this company practices what they preach by being an avid supporter of nonprofits such as Warrior Canine Connection, Freedom Service Dogs, GreaterGood.org, Victoria Stilwell Foundation, Leader Dogs for the Blind, and The Emma Zen Foundation. Co-founder and co-owner Gila Kurtz is the best-selling author of Fur Covered Wisdom: A Dog Can Change the Way You See The World and was winner of the 2017 Pet Industry Woman of the Year by Women in the Pet Industry. Here at Good Dog in a Box, we love ThunderShirt! In our opinion, it’s the best pet anxiety product on the market. 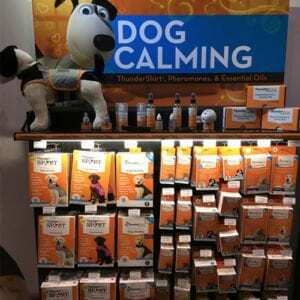 Now ThunderWorks, makers of ThunderShirt, have introduced the ThunderEase line of calming Pheromones for dogs and cats. This line of sprays, home diffusers, and collars work by mimicking natural Pheromones. It’s over 90% effective at reducing many anxiety symptoms and unwanted behaviors with no drugs or harsh chemicals. I especially liked the new collars, which emit the the Pheromones smell around the clock and are activated by the body heat of your dog. ThunderWorks was also showing their ThunderEssence line of 100% essential oils made from lavender, chamomile and Egyptian geranium. Watch our interview with Dave from ThunderWorks. If you don’t like to put harmful chemicals on your pet to treat fleas and ticks, you need to get Cedarcide. Cedarcide Original is a naturally-sourced insecticide and repellent and is designed for personal, pet and home use to kill fleas, ticks, ants, mosquitos, and mites, in all stages of life. I’ve used this product for years and LOVE IT! I even sent my daughter to the Amazon jungle with the Extra Strength Tickshield from Cedarcide. She had no problems with bug bites. Just spray Cedarcide on yourself and your pet before walks or playing in the backyard for protection against biting bugs. Works great and smells good too! Watch our interview with Austin Lilley from Cedarcide. 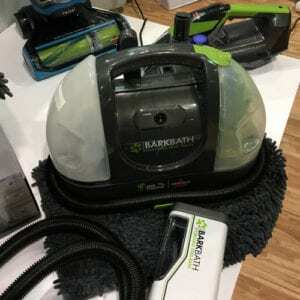 Bissell was introducing the new and improved BarkBath at Global. This model is quieter than the previous model and includes a longer hose. The portable dog bath system also is available in a cordless model. The specially designed nozzle gets beneath the fur and down to the skin to allow water and shampoo to wash the skin clean while a soft suction pulls dirt and water away into a separate dirty water tank. The system works with almost any length of fur. One tank of water will completely wash an 80 lbs. dog. Your dog never gets completely wet and dries in no time. Where was this when I had a Newfoundland?! Watch Tony Huver from Bissell give us a demo. 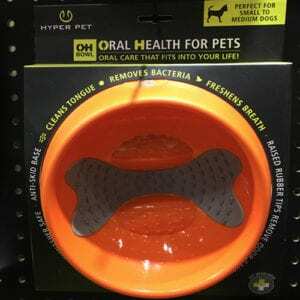 From Hyper Pet comes the OH Bowl, the world’s first oral health bowl for dogs. Daily oral care for your dog that’s easy and fits into your lifestyle. The OH Bowl is vet developed and encourages your dog to lick across the raised rubber tips along the bottom of the bowl to clean their tongue, remove bacteria, and freshen breath. Regularly cleaning your dog’s tongue may help reduce disease causing bacteria, reduce bad breath odors, and stimulate production of saliva leading to over all healthier teeth and gums. To encourage extra licking, try adding a few drops of water or tasty liquid to the bowl before adding food. Check out other awesome new products from Hyper Pet. 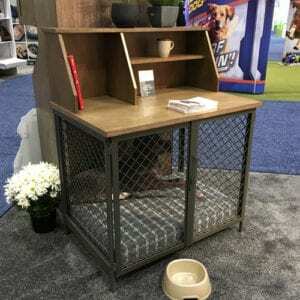 I loved the pet furniture collection from Sauder Pet Home. Sauder is the leader in high value design for the home and they’ve transferred their quality and value into the pet category. My two rescues, Buggy and Mister, would absolutely adore the cat tower with the scratchable sides and my new house is definitely going to have the desk with the built-in dog pen for my entry hall. Is this a fantastic idea or what?! Every design was fun, functional, and obviously made for people who live with their pets. I met principle designer, Mark Strayer, and passed along how much I thought this line was well thought out for people and their furry friends. Your dog will dig these digs! Check out other designs from the Pet Collection from Sauder. Bac-Out is a natural, enzyme based cleaner that eliminates the toughest pet stains and odors. It combines a unique blend of live enzyme-producing cultures, citrus extracts, and essential oils that eliminate all the dirt and smell that your pet throws at you. Made by BioKleen, this product is gentle on the earth and safe to use around pets and kids. I love the smell of this and can honestly say it’s one of the nicest smelling cleaners I’ve encountered. But don’t let the lovely smell fool you, this non-toxic and biodegradable product works on your hardest to remove stains. Watch our interview with Tabitha Helms from BioKleen. An easy way to hide pills for dogs. Veterinarian recommended, all natural Pillstashios are made in the USA with the world’s finest ingredients. The patented “Smell Lock” was designed to lock in scent and taste. It has a closable cover to allow you to fill Pillstashios with a capsule, liquids, or powders. It’s a mess-free way to give your dog medicines, vitamins, and supplements. 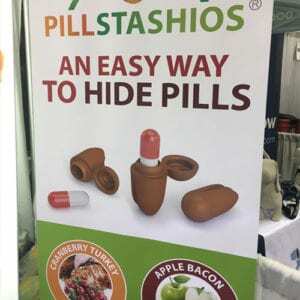 PillStashios come in three flavors to be uniquely appealing to dogs. The ingredients are all natural, grain free, gluten free, soy free, and healthy for your four-legged friend. Available in two sizes and three flavors: apple bacon, blueberry chicken, and cranberry turkey. Just 8.85 calories per treat and 25% highest crude protein. As a newbie to the Global Pet Expo, I can quite honestly say I’ve never seen so many pet products in one place. I got quite an education in what is available for our pets. 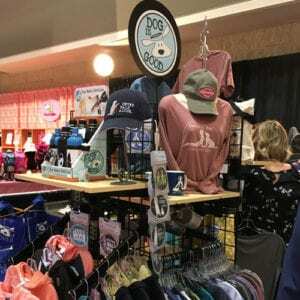 If you missed my daily coverage of the show here on the Good Dog blog, be sure and check out Day 1 Global Pet Expo 2018, Day 2 Global Pet Expo 2018, and Day 3 Global Pet Expo 2018, for more products and video from the show room floor. What did you see that you liked? What are your favorite products from the show? Let us know below.